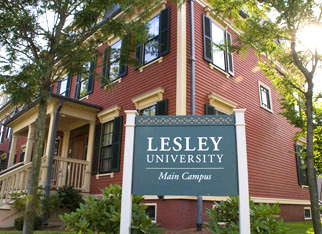 In less than two weeks–On January 3rd, to be exact–I’ll be leaving for Boston to attend my second residency in Lesley University’s highly-touted MFA in Creative Writing Program. Like the first one last June, I’m nervous, but I think this second residency will go much smoother, mostly because I know what to expect now. In certain ways, I’m looking forward to it. 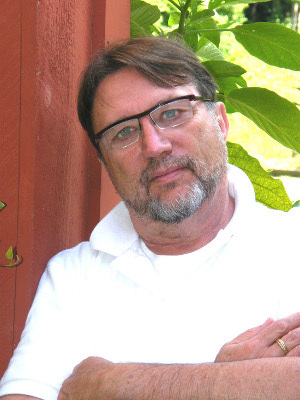 Because we change mentors each semester, throughout this second semester I’ll be working with children/YA author, David Elliott. That’s him above. A friend in the program worked with him during our first semester and had nothing but good things to say. He’s a nice guy and he knows his stuff. I think this second semester is going to be a productive one. I sent in two chunks of different manuscripts this time, so I’m looking forward to his comments in the workshops I’ll be participating in. Over the last couple weeks, I’ve been printing, reading, and commenting in order to prepare for this second residency. It’s been difficult as a result of being diagnosed with occular neuritis and other pre-multiple sclerosis symptoms. I’ve tried my hardest and am hoping it will all end well once I get to Boston. There are some great workshop stories both from new students, as well as the “veterans.” I can’t wait to get into full days of discussing writing again. That’s something that I’ve continually miss over the past six months. During this second semester, my Interdisciplinary Studies project is a class. It’s online and is called “Psychology for the Creative Writer.” It’s taught by Dr, Jorge Amenteros, who is a psychiatrist, as well as a creative writer (he got his MFA from Lesley University, too). The one book I’ll be reading for the class is The Writer’s Guide to Psychology: How to Write Accurately About Psychological Disorders, Clinical Treatment and Human Behavior by Carolyn Kaufman, Psy.D. I’ve already started reading it and I love it so far. I think it’s really going to help my main work, the story regarding the school shooting. Much of what I write has psychology ingrained, so this class is really perfect for me. I’ll be meeting with Dr. Amenteros during the residency, as well. This is one of the few things i’m looking forward to in the coming months. Barring any major health shifts, this residency will be a great one. I’m so glad I decided to stick with it after a rough semester. Stay tuned for a full report on the event after I return on January 13th! Tagged Creative Writing, David Elliott, Lesley University, MFA, Novel Writing, Psychology, Residency, Writing.